GitHub - xreef/PCF8591_library: Library to use i2c analog IC with arduino and esp8266. Can read analog value and write analog value with only 2 wire (perfect for ESP-01). 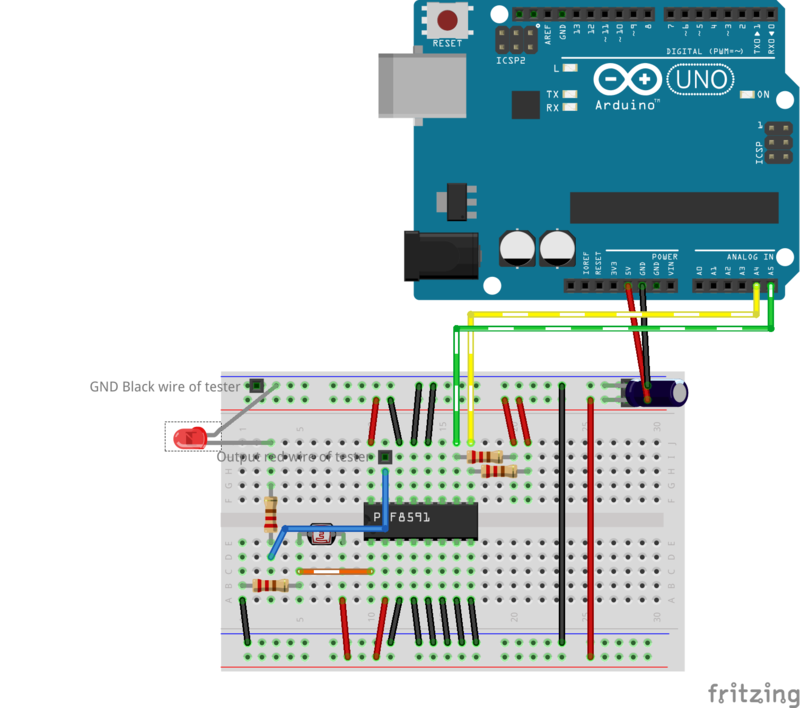 Library to use i2c analog IC with arduino and esp8266. Can read analog value and write analog value with only 2 wire (perfect for ESP-01). Want to be notified of new releases in xreef/PCF8591_library? To download. click the DOWNLOADS button in the top right corner, rename the uncompressed folder PCF8591. Check that the PCF8591 folder contains PCF8591\\.cpp and PCF8591.h. Place the DHT library folder your <arduinosketchfolder>/libraries/ folder. You may need to create the libraries subfolder if its your first library. Restart the IDE. 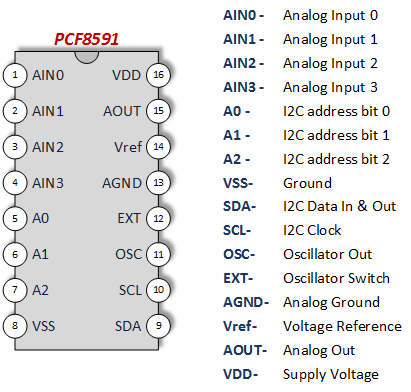 Reef complete PCF8591 Analog input and analog output to digital converter with i2c bus.